Will the Bulls' offensive identity take shape down the final 24 game stretch? The Bulls Friday in Orlando begin what is popularly known around the NBA as the sprint to the finish line. For most of the NBA, it’s the race to playoff positioning. For the Bulls, it should be a 94-foot dash to an identity. One that is offensive, though in a good way. "We've been talking about that, coach has been talking about that," Zach LaVine said about the Bulls playing more with multiple ball handlers to diversify and enhance offense. "You get the ball off the rebound, push it, especially to Lauri (Markkanen). I feel like Lauri's been doing a good job of that. It took me a couple games where I was still waiting and looking for the ball, but he's great in the open court, in a transition with another big guy. I think that the multiple ball handler thing is going to be a true statement coming in the future." 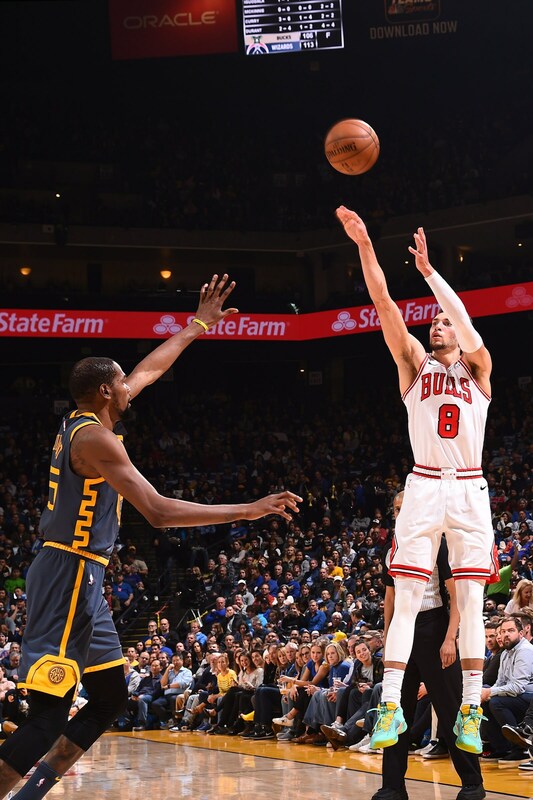 "I think we are starting to shoot more threes and I think I am going to start to look for a couple more every game," LaVine added. "The last couple of games I was looking to do that. I am still going to be aggressive going to the hole. But I think the way the team is trending with our spacing we might be able to get some more threes up." It is the way of the NBA today. 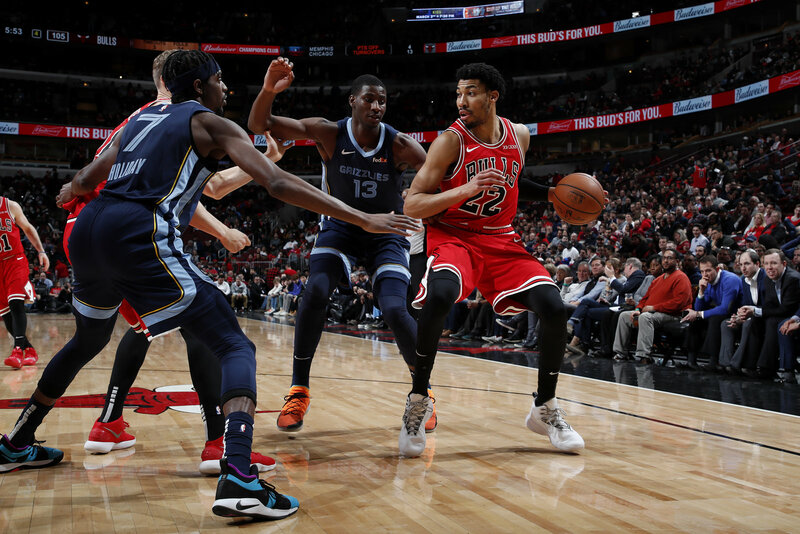 And with leading scorer LaVine averaging 23.1 for the season, a healthy Lauri Markkanen averaging 25.3 per game in February and recent acquisition Otto Porter Jr., averaging 22.5 points in four games with the Bulls, the Bulls have, at least potentially, three teammates capable of averaging 20 per game for the first time since the Chet Walker/Bob Love era. More significantly, it’s a Bulls team finally seeming to understand offense is the way now in the NBA. Bulls coach Jim Boylen still talks about defense, which everyone, by habit, must. It’s something you say, like being a political independent or you’re definitely getting out of here next winter. But the cold, hard reality still remains the most points wins. "I do think we’ve got to improve defensively these last 24 games," Boylen said when asked about the priority for the final seven weeks. "I’ve been frustrated with our defense. I’ve been encouraged by our offense, but I want us to be a complete team and not 30th in one and (first) in another. I want us to be balanced. That’s what I spent my break thinking about. We spent the first 35 minutes of our practice on defense and getting better at what we need to do, better in basics and habits." You figure Boylen had to say that because that’s what everyone says. But the reality of the NBA these days is offense wins. 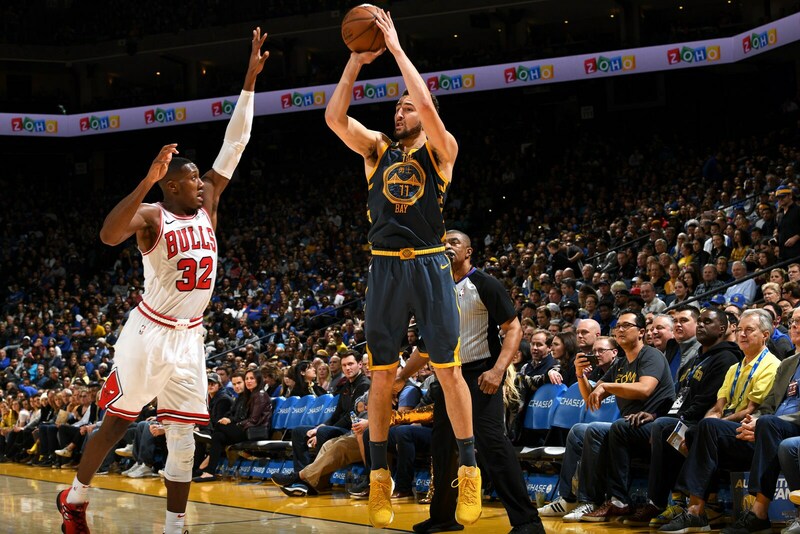 Maybe in the playoffs it changes some, but the way the game is played these days with more three-point shooting, quicker shots and trying to increase free throws, the teams that most concentrate on offense succeed. Everyone talks about defense. And then they wink to themselves and shoot the ball. Of course, you want to be a team in the top 10 in both. But take a look at those 10 best offensive teams. They basically comprise the league’s elite, the Warriors, Rockets, Nuggets, Raptors, Bucks, Celtics, 76ers. Notice who is missing on the top 10 defense list among those teams. The champion Warriors, Rockets, 76ers, Nuggets. Also, notice the top 10 on defense. Almost half the list comprise teams likely not playoff bound, like the Magic, Grizzlies, Heat and Pistons. It doesn’t mean a team shouldn’t defend or strive to improve or be consistent on the defensive end. Though the way teams play so much faster, especially in the regular season, it’s difficult to play the kind of defense traditionalists might prefer. What those lists suggest is offense is more comparable to and compatible with success. And so it is starting to be for the Bulls, who are leaving far behind the excessively deliberate pace of play from December. 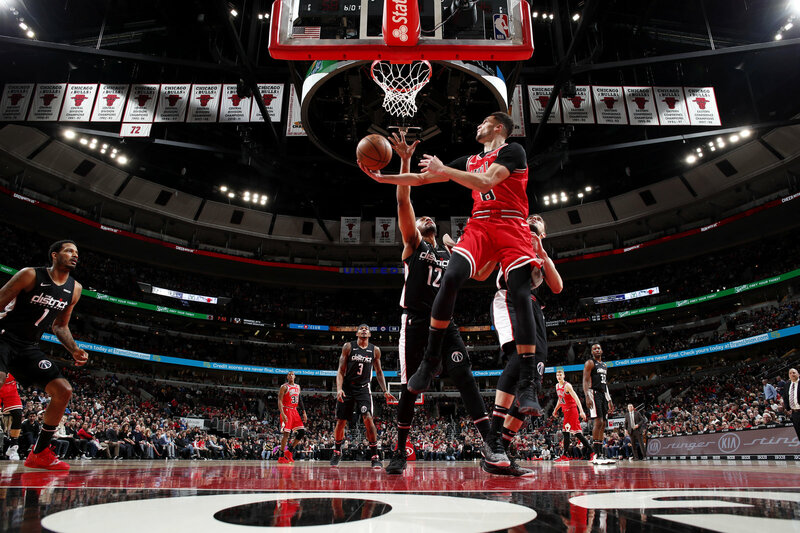 In the four games with Porter, the Bulls are averaging 117.8 points per game, about 15 points above their season average and ninth in the league in offensive efficiency. In the last eight games, the Bulls are 3-5 and even have a rare (for them) plus point differential of almost two. That over a season usually extrapolates to between 45 and 47 wins. It’s the kind of season the Bulls reasonably could aim for next year playing that style with perhaps just a small talent upgrade at a position or two. "Big time," LaVine said about Porter’s addition. "He’s a knock down shooter; you can’t leave him. If I drive on his side of the floor, I know pretty much I am going to have an open lane or a one on one with the big. Anybody attacks it’s an easy kick out to an assist every time. It’s been good. We just put in some more stuff with me and him, so we’re looking to build that chemistry as well. We’ve had so many different lineups and guys in and out of the rotation that, like I said, I think we can finally get some consistency in the second half of the season."